Since the release of our casual game Rock Garden, we had been interested in ways to combine casual gameplay with more traditional video game genres, especially with the platforming gameplay seen in our earlier Papa Louie game. 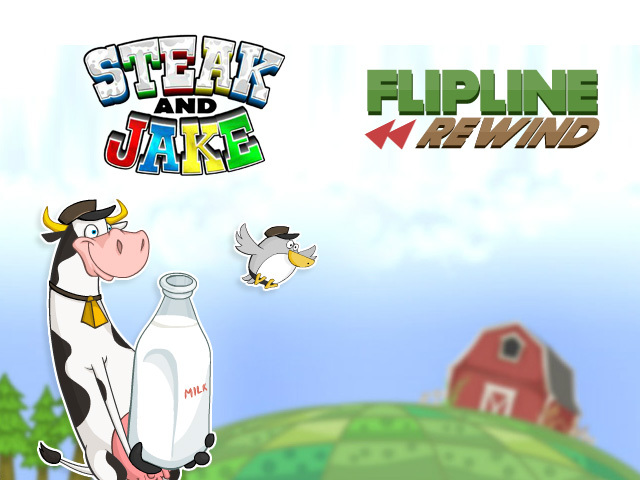 We went through a lot of different ways to make that happen, and eventually focused on the color-based gameplay we see in Steak and Jake, where the matches you make in the puzzle affect what you can do in the platforming world. There were a lot of challenges we overcame in making a game of this style, and some unforeseen stumbles were made along the way as we developed the game and saw it release to the public. When we started designing the game, we knew we wanted the gameplay split into two sections: A platforming section where you’re guiding a character through the level, and a puzzle area where your actions would help the character in the platforming level. It took a while for us to figure out exactly how to combine these two elements, and what form the puzzle portion of the game would take. Some early versions of the game had a match-3 style of puzzle where you would slide rows and columns to make matches, and an alternate version where you would slide blocks around the screen like in our game Rock Garden. We quickly realized that if you had to spend too long interacting with the puzzle, it was hard to keep up with the action in the platforming level, and the puzzle aspect of the game was just getting in the way. Rather than simplify the platforming part of the game, we decided to reduce the puzzle down to a simple matching-bubble style of puzzle. This way you could quickly glance down and see if there were any matches, and with a single click would be ready to interact with the main platforming game again. Having this simple mechanic for matching colors let players focus on the platforming experience and deciding how best to use their color matches. We wanted to keep presenting the player with new things in each level, so we created many different challenges and special levels that would appear as you continue to play. Some levels have you defending Steak from multicolored Milk Bandits that require multiple hits to stop, and other levels have bosses attacking in helicopters which throw dangerous mines in your path. 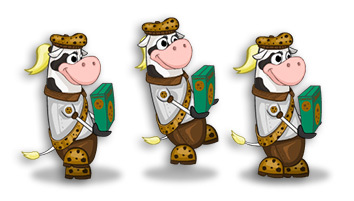 Players will occasionally race against the rival Cocoa Cow to the finish, and other times will be collecting balloons along the path or guiding a troop of Cookie Scouts to the barn. Along with these races and challenges, we also created dozens of areas and enemies that would automatically appear the further you get into the game. Within the levels themselves we also created a tons of objects that Steak and Jake can interact with, including stretchy worm bridges, moving platforms, springboards, and the ever-present blocks and ramps. Rather than having a set amount of levels or puzzles, we set out to create a platformer that could continue indefinitely by generating new levels on its own. The game combines a number of pre-made trail sections to build each level, and keeps things fresh by including boss battles, races, and other challenges in these generated trails. New content is revealed over the course of over 170 trails, so there’s always something new around the corner. The game will continue to generate new levels after this point as well, so players can continue playing as long as they like. 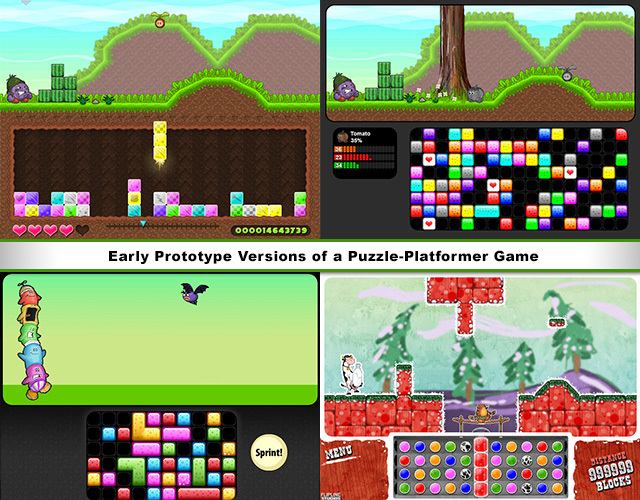 To allow for the endless levels in the game, we first had to create a large number of individual “chunks” of levels that could be connected and remixed to create the trails. We developed a level editor to design these sections, which would automatically be reskinned with new tiles and new enemies based on whichever area it was used in. Every section was designed a certain way so that its endpoints would match up with the next room, and so Steak wouldn’t get stuck when a trail was generated. Some sections would also allow for branching paths at different heights which would connect to other similar sections — so even if you’re seen that same level chunk before, you may be on the top half instead of the bottom half. 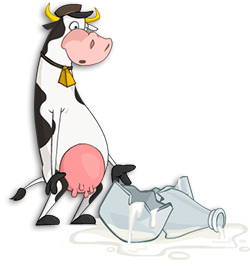 Though some levels (like Cookie Scout and Milk Race levels) were laid out by hand, most of the rest of the game is generated from all of the reusable parts. As we were developing the game and playing levels over and over, we eventually reached a point where we had gotten so good at keeping up with the color-matching and platforming that it didn’t feel challenging anymore. Feeling that the game had gotten too easy, we kept adding more and more enemies and obstacles to the game, so you had to really pay attention and move quickly to keep Steak out of harm’s way. At the time we didn’t realize that we had tailored the difficulty for ourselves as now-expert players, but after it was released we quickly found out the game was very difficult for beginning players. If we had done further playtesting with other new players we may have caught this issue earlier, but after the game was released and spread virally it was unfortunately too late to do much about this harsh difficulty. Another issue with the game’s difficulty is when Steak fails in a level and has to restart the entire trail from the beginning. Since the game is structured with roughly 6-minute trails, if you miss an enemy or bump into a wall right at the very end of the trail, you’re forced to repeat the entire 6-minute trail all over again, which became very frustrating for players. This could have been improved with some sort of checkpoint system, or multiple “lives” where it could restart Steak back on a safe section of the path, though unfortunately the game wasn’t designed with this in mind. In our newer platformers such as Cactus McCoy 2 and Papa Louie 2 we’ve added checkpoints to help with this issue. Despite filling the trails with enemies and obstacles to increase the difficulty, there were still times where there was nothing for Steak or Jake to do at the moment, aside from just watching Steak plod along at his constant pace until the screen reveals something new to do. Originally, we only had the speed-boosting speedometer available during the Milk Race levels in the game, and during the rest of the game you were stuck at the same slow pace. Thankfully before the game was released we decided to keep the speedometer in the game full-time to help with these lulls in the action, which did improve the pacing quite a bit. After working on Remnants of Skystone with its dark and gritty art direction, we wanted to create something at the opposite end of the spectrum which was bright and playful. We did achieve this look in the game, with its cartoonish characters and saturated colors, but with the difficulty level spiking in the game we ended up in a situation where the visuals no longer matched the gameplay. At first glance, one may expect this colorful game to be easy to casually play (especially for a younger crowd), only to be caught off-guard by the harsh difficulty. Unfortunately with the difficulty level of the game, many players may not stick around to keep playing and seeing everything included in the game. As the game continues we introduce a ton of new areas and enemy designs, though frustrated players may miss out on seeing all of this content unless they stick with the game. All 60 of the Challenges and Milk Races were also carefully crafted, and players will need to keep playing for quite a while to experience all of these levels. When we later decided to create a Halloween-themed spin-off of the game, we were able to adapt some of the Cookie Scout levels into “Midnight March” so players could get another way to experience them. In the end, Steak and Jake turned out to be a bright and colorful platformer which incorporates puzzle gameplay in a way we hadn’t seen before. Though there were missteps along the way, we were able to create a new type of hybrid game with a great amount of gameplay and challenges, as long as you can survive the difficulty! ← Sneak Peek: Cherry Bombs!